Poor Damian Wayne. He can break all of a grown man’s major bones in an eyeblink but he’s still just a kid yearning for his dad. Too bad Bruce Wayne came back from the dead with no memory of being a superhero or a father. 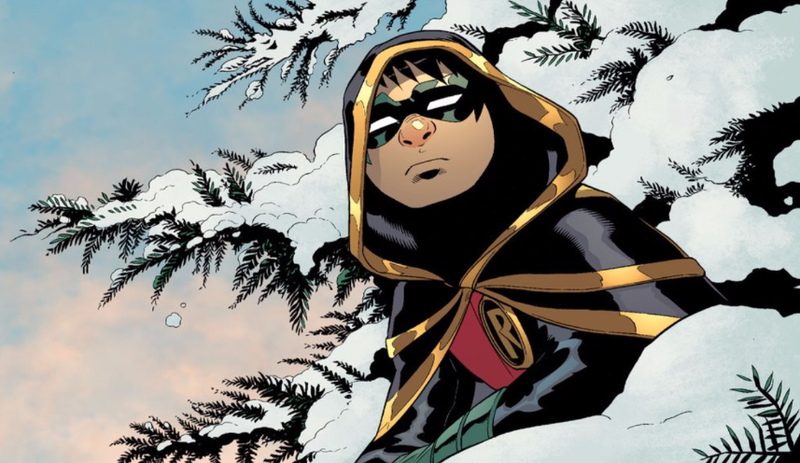 In the latest issue of the very good Robin, Son of Batman series, the Boy Wonder uses his stealth assassin skills to surveill his dad. The wordless panels where he watches Bruce Wayne in his new life are just gut-wrenching. It gets even more poignant two pages later. Batman and various Robins have been separated many times over the decades but the fact that Damien is Bruce’s biological son makes this moment feel extra touching.